Great News: Dubai Used Car Owners Get 100% Discount on Traffic Fines! Soaring high traffic fines are in place to ensure Dubai used car owners remain extra careful while driving. It’s important to encourage everyone to remain safe, but there’s an all new incentive to further encourage positive driving that we here at CarSwitch.com think is just plain awesome. To positively reinforce safe driving, Dubai Police has announced this as a Year of Tolerance and those who do not use bad driving techniques from today on the UAE roads will be rewarded! Drivers of Dubai used car who do not commit a traffic offence for three months will get 25% discount from 6th February onwards. Moreover, motorists who follow all safety regulations and do not enact any traffic offences for six months will get a 50% discount. Drivers who do not commit any offences for nine months will be awarded with a 75% discount. And most importantly, drivers who do not commit any traffic violation for one year will be rewarded with a whopping full 100% discount on their accumulated fines! Better start reading on tips for staying within speed limits. Let’s assume that you had committed a traffic violation on 1st February, 2019. Though, from 6th February to 6th March, you did not break any traffic laws. This means you are qualified for a 25% discount on your unpaid fines. Similarly, if you go up to 6 months with no offences, you can get a further reduction with a 50 % discount. Moreover, if you go a full year without breaking any traffic rules, you can enjoy a 100% discount. Well, isn’t that just great? All you have to do is not make driving mistakes that might get you fined. Driving safely should always be a priority when driving your Dubai used car. This is the best opportunity for you to save up the money you pay in traffic fines each year. Even more, if you save up that money you might even be able to upgrade your car. 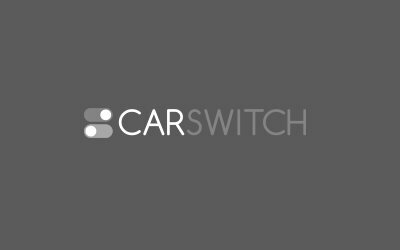 And for that CarSwitch.com is always at your service! Drive safe, folks! If you’ve recently bought a Dubai used car, make sure to keep it safe. After an.